The Cork Food Harvest Festival is coming and it’s not to be missed! It’s happening soon: October 19th, 20th and 21st, 2018. 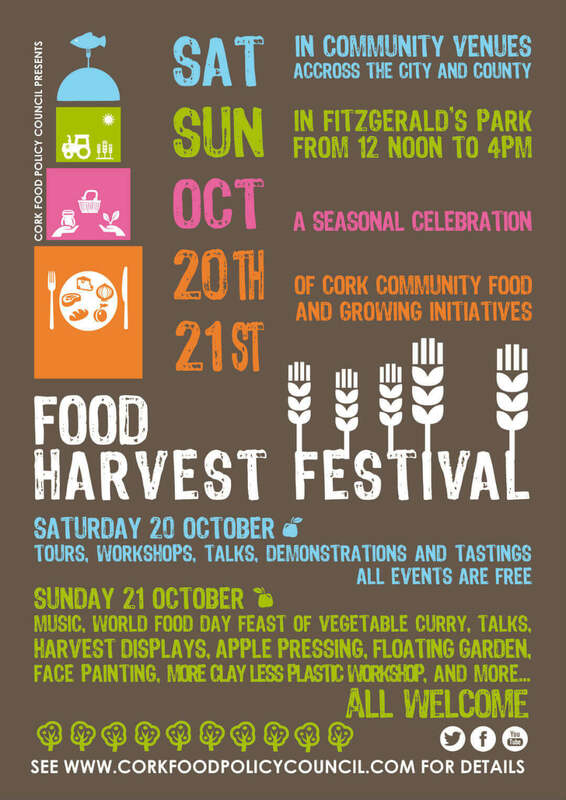 The festival celebrates the wealth of community food and the growing initiatives throughout Cork. Like last year, there will be loads of free events: tours, workshops, talks, demonstrations and tastings.  We’ll kick off the festival on Friday the 19th with ‘A Taste of Cork’ meal prepared by culinary students from CIT. See the schedule in the link above for details and booking information. As you’ll see on the schedule, Saturday is filled with fun and informative food-focused events throughout the city. We’ll celebrate with a (free) World Food Day Feast: a vegetable curry cooked with produce from local community growing initiatives and donated food. Groups from throughout our community will come together to host food-focused stands and demonstrations. Experts in gardening, environmental science, and sustainable food production will give talks loaded with valuable information.